We work with many names within the construction industry and continue to provide them with a professional and reliable service. Our values are focused upon building and developing close business relationships with our clients. 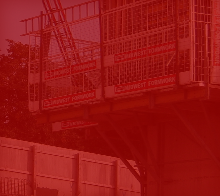 Midwest Formwork (UK) has a very successful track record, we continue to expand and upgrade our services to keep up with our demanding clients. With many challenges we encounter, we rapidly adapt to deliver as per the specific requirements in hand and maintain quality throughout our business process. Providing our clients with the latest design techniques, materials, plant and equipment, construction systems and management skills.